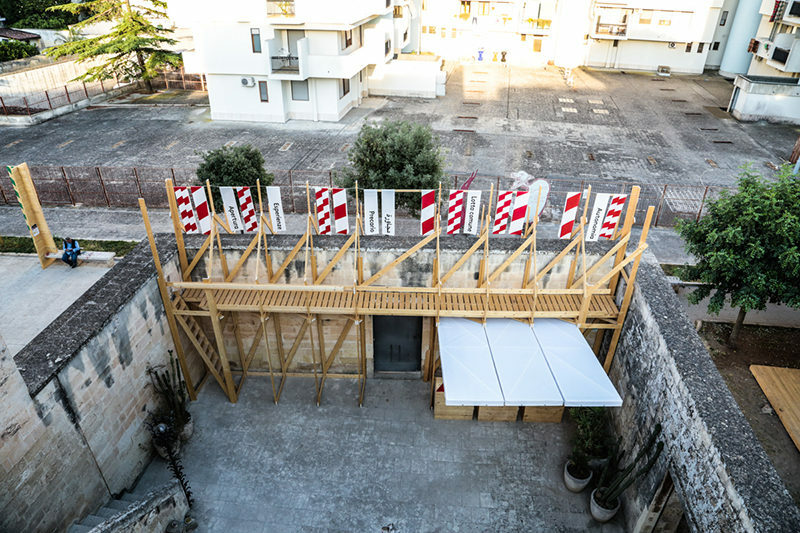 Giardino Ammirato is an initiative looking to collectively re-imagine an abandoned public garden in the city of Lecce, Italy. The garden was part of the original 16th century structure which currently houses the cultural association Ammirato Culture House and the pedagogical artistic experiment Free Home University by the organization Musagetes. 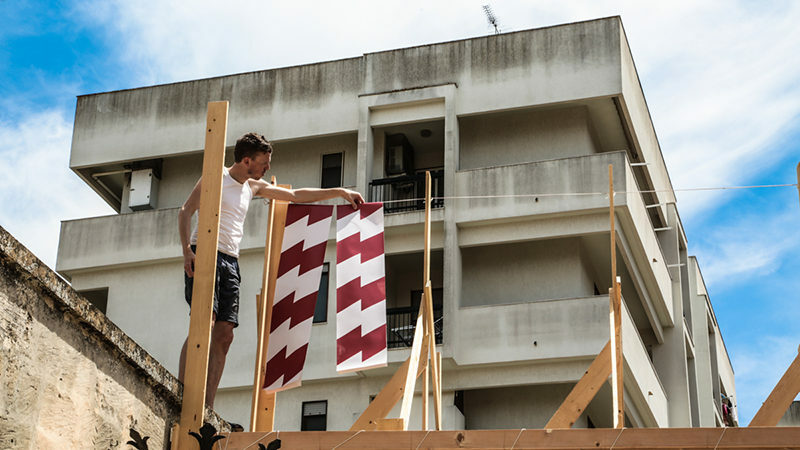 The project was born out of the group’s desire to reclaim this forgotten space and collaboratively reinvent it for communal and convivial use. 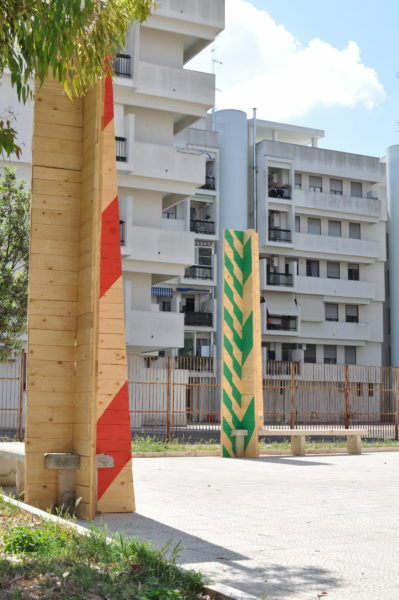 The ‘garden with no name at the crossroads of two streets’ has been abandoned for years despite its historical, social and environmental value as one of the few green areas in Lecce. Neighbours from the area see it as a problematic space, dirty and unsafe – used only by dogs, their owners and a group of youngsters. The cultural organization attempted to take care of the garden, but despite their seasonal cleaning and effort to bring their activities into the space, the garden continued going back to its original state of neglect. Lacking the support of a local group of people sharing interest in the up keeping of the space. To follow up their initial intentions, Ammirato Culture House and Free Home University invited Constructlab to make an intervention in the space that would serve as a platform for discussion and action around the future use of the garden, aiming to create synergy that could be carried out and create a sustainable situation in the garden for the future. 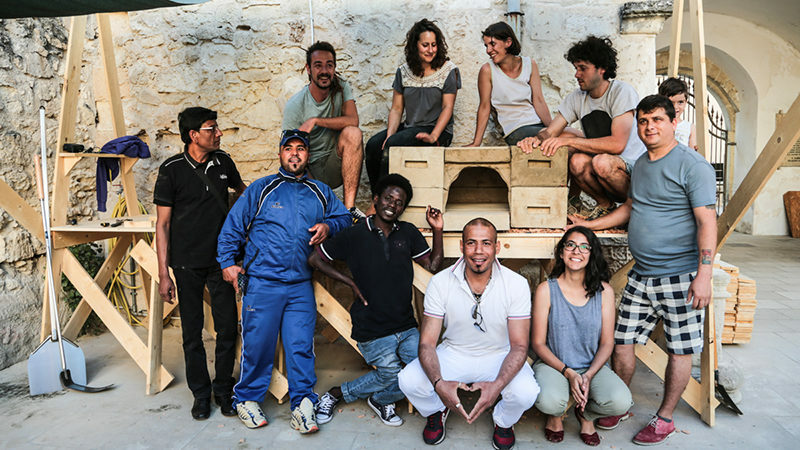 A network of local people and initiatives interested in recuperating the garden was developed during an in-situ residency in the months prior to the intervention. 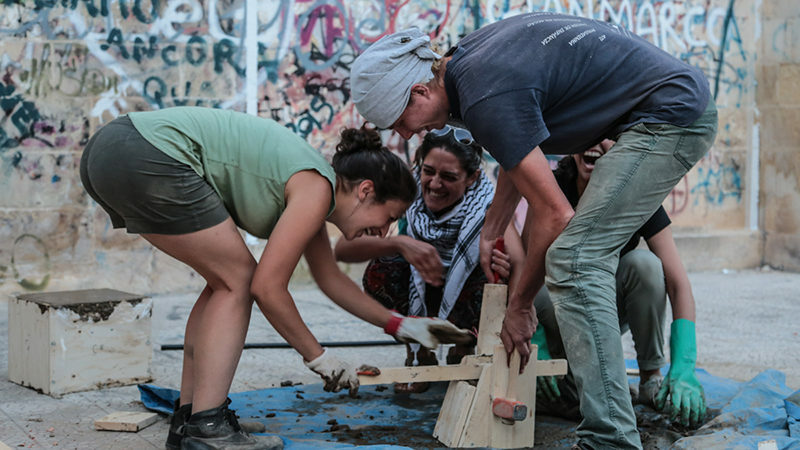 Together, we created a cultural program to activate the garden during the summer months, in order to simultaneously open up the cultural centre towards the neighbourhood and to invite individuals to use the garden. 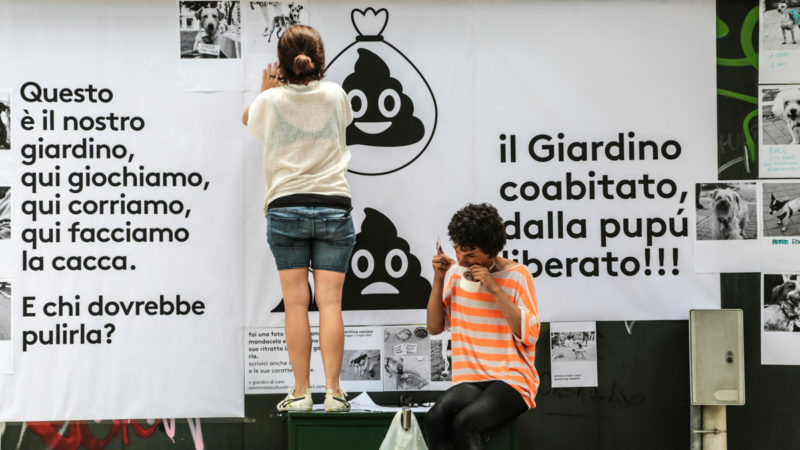 With the motto ‘’ E facciamolo, un giardino!’’ ( And, lets make a garden!) 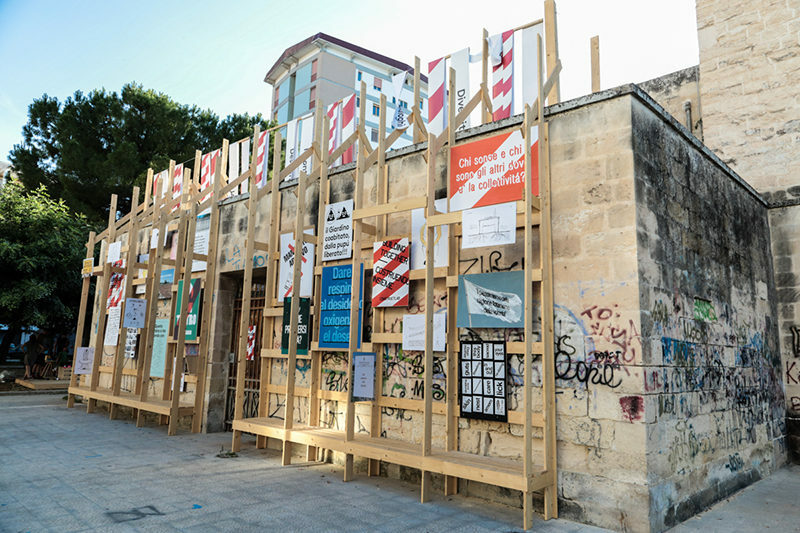 a group of international creatives, local associations and neighbours started a two-week activation period in the month of May. The first week of the intervention was an ‘’open-building site’’ inviting individuals from the community to actively join-in the process. 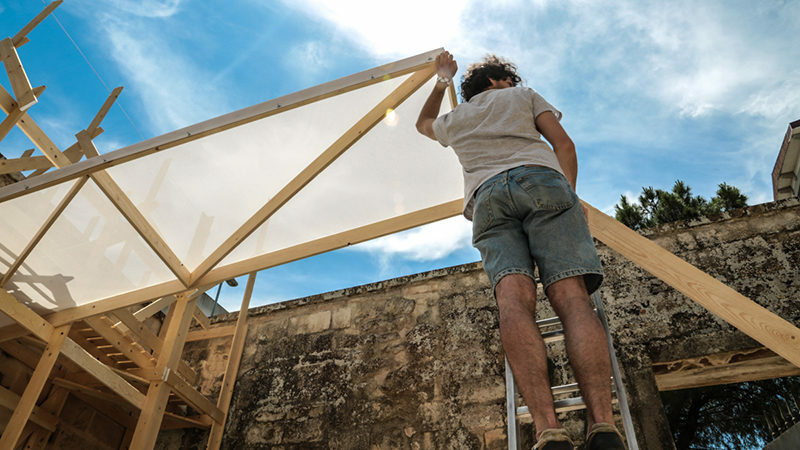 This resulted in the construction of a scaffolding-like structure on the inside and the outside of the courtyard, and multiple smaller structures in the garden that opened up the space for new activities. 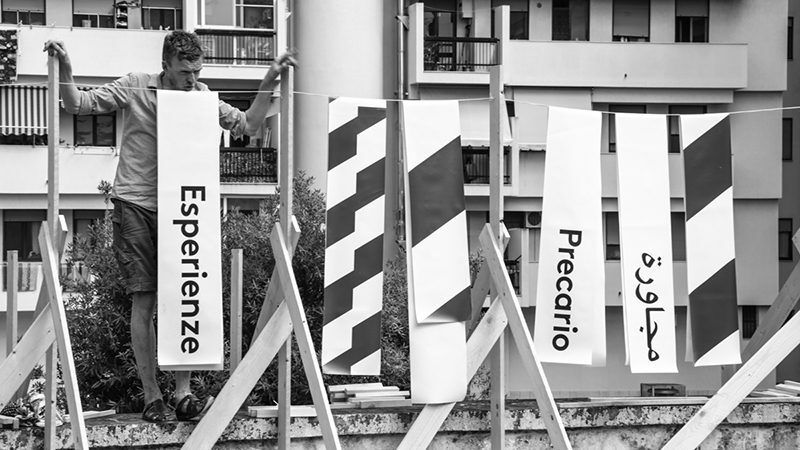 During the second week, a variety of actions and workshops such as a the construction of public oven, the planting of a small urban garden, an aperitivo for dogs, reading groups and theatre performances, were carried out bringing life to the space. 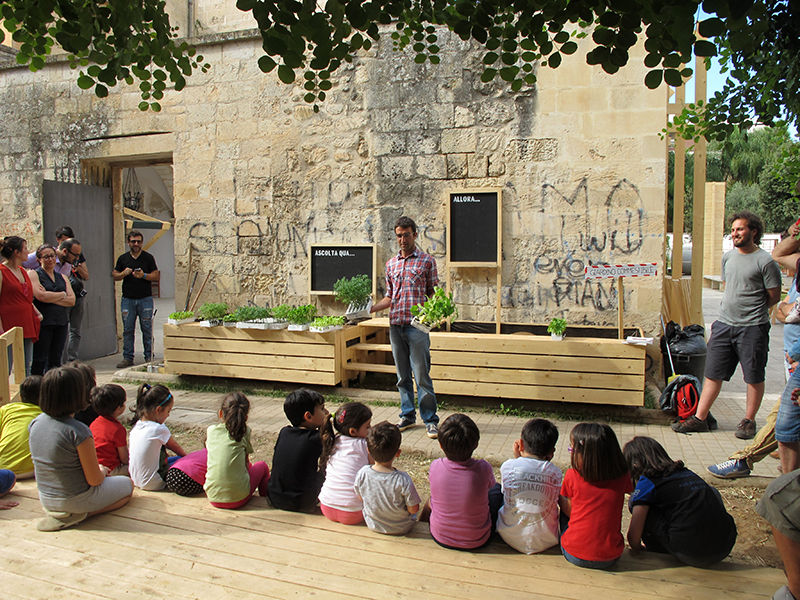 This inaugurated a program of weekly activities in the garden that took place during the summer months. Following the first intervention a grouping of individuals, who participated in the intervention, is presently taking care of the garden and organizing an autumn program in order to continue living the space and continue inviting neighbours to join the process of living, sharing and taking care of this public garden.